Image 5934236: Single pine-tree on the rock. 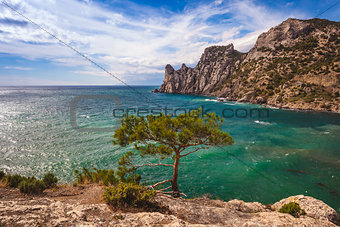 Image Description: Single pine-tree on the rock. Mountains and blue sea.